Just a few months ago, there was a lot of noise about the emerging Brood II Cicadas, the one that emerges every 17 years. I was thrilled with the news because I happen to love Cicadas — maybe not the insect, but the sound! Yes, the sound — because nothing screams summer like the shrilly screech of Cicadas. And then came the end of the news reports: Long Island was not included. Apparently, this brood’s parents decided 17 years ago that Long Island was no place to spend their summer season. This doesn’t mean that Long Island is suffering from Cicada silence. We have our share of these noisy buggers — it’s just that, well — it’s like that old saying: Always a brood maid, never a brood. In celebration of this beautiful noise, I’m revisiting a post that nicely summed up my cicada love. Bloomin’ Update 28: I Went To A Garden Party . . . It seems that quite suddenly, summer has brought the entire world into bloom — and that means hosting a whole bunch of guests to a bloomin’ banquet. There’s plenty to eat and drink — so, bring a chair, sit back, and relax. First up: butterflies. 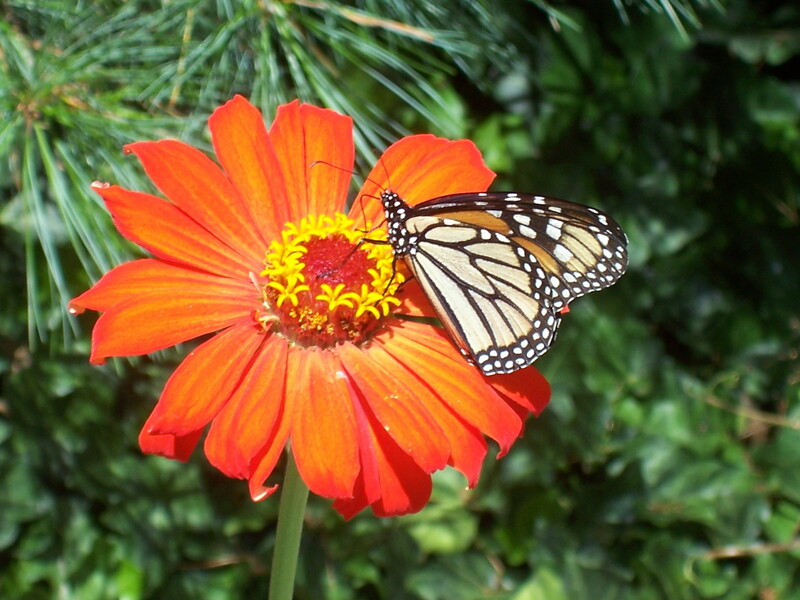 I’m not sure what type of butterfly this is, but the garden is full of them. 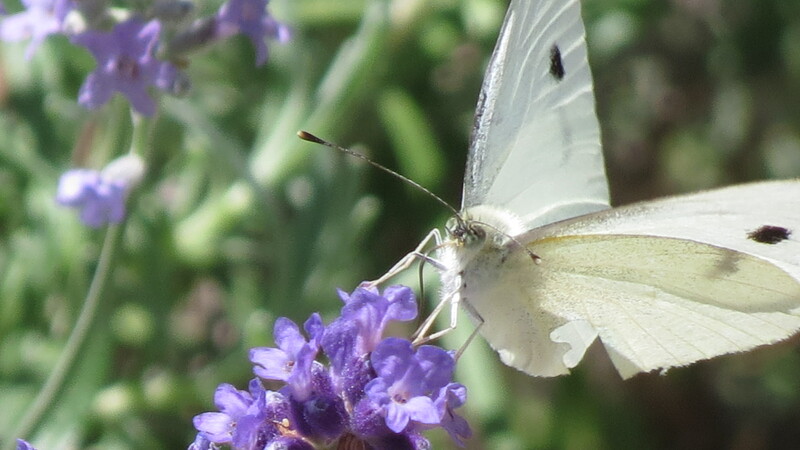 They really don’t socialize with the other guests, and can often be found in pairs, fluttering about in mid-air and playing among the lavender. I’m good when it comes to bugs. For the most part. I mean, I generally do not become hysterical when I cross paths with a 6- or 8-legged creature. In fact, there are some bugs I actually enjoy. I’m captivated by a trail of ants going about its journey; I love the sultry summer chirp of cicadas; I’m totally in love with praying mantis; I’m mesmerized by the flicker of lightning bugs; I’m completely overjoyed by the arrival of a butterfly (which is why it received top billing); and when it comes to bees, we have a firm understanding. I’ll let them do their work, if they let me do mine.